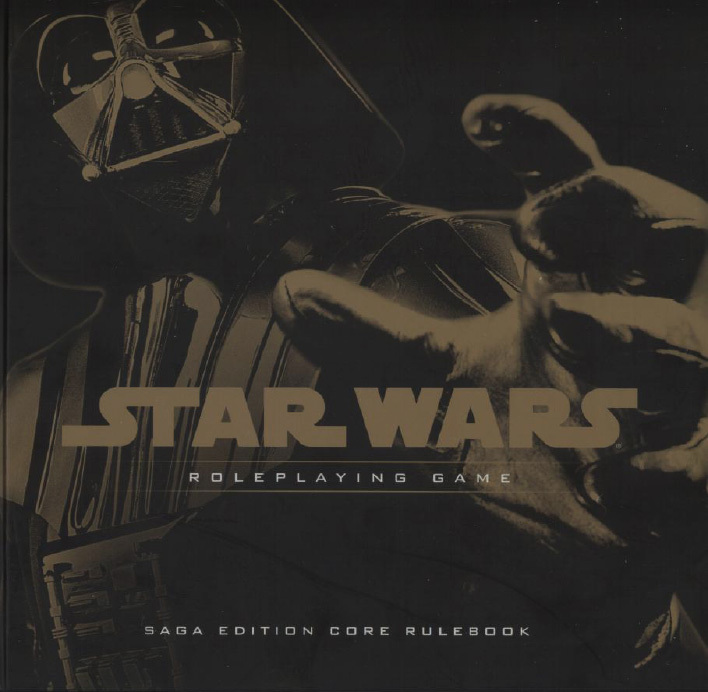 Today I want to take a look at a role play game that I have been running for the past few months with some members of my local gaming community. Previously we had been running a Warhammer based role play game that had been quite brutal for all of the players involved, one session saw my character held prisoner for 95% of the session before getting flattened by an ogre for example. To give the warhammer GM a break I offered to run a Star Wars system in the run up to the release of Episode 7, running the old Wizards of the Coast Saga Edition rule set. My previous experience with these rules was about 6 years ago while I was living in America so needless to say I was a bit rusty and had to adjust certain things on the fly to make the system work for us. Ali - Human Scout (male). The main computer whizz in the team, recently developed a knack for talking the team into trouble. If you need someone to play a wounded stormtrooper he's your man. Sean - Human Scoundrel (female). The best pilot in the core systems. Also a master of talking her way out of trouble. Always shoots first. Darren - Wookie Scout (male). Tends to go into a rage at least once a session and ends up eating stormtroopers. Quite a sneaky walking carpet, when he isn't pulling arms out of their sockets. Mike - Trandoshan Soldier (male). Likes to kidnap Imperial Officers. The main muscle of the group and a pretty effective force user. Grandpa Ham is a loyal friend and a good person to have by your side in a fight. David - Zabrak Soldier (male). The medic who loves to fly casual. Could easily have more kills but somehow always contrives to miss. Maybe it's the need to preserve life? On top of these we have a number of players who have dropped in and out of sessions when they can, adding to the flavour of some encounters. Tom, James, Jake, Luke, Ben and Lloyd all bring something to the game and will pop up throughout. To ease my way into it, and to make it easier for the players, I decided to use a pre-written scenario by the old WotC team, The Traitor's Gambit. It introduces the basic concepts of the system while still giving the team some freedom to achieve their goals how they choose. I had to make a few adjustments to the scenario to fit it into the new timeline for the new canon but it seemed to work out alright. The scenario opens up on a space station orbiting the world of Brentaal IV. The station itself is well used, corridors are grimy, population downtrodden and enough of an Imperial presence to make the team wary. Their ship was impounded upon arrival as the recent destruction of the Second Death Star has forced the Galactic Empire into full lockdown. In an effort to get their ship back the commander had gone off to negotiate with the local Imperial presence, or less savoury characters so that the team can continue on their way. However, she had not returned and now some of the team are getting itchy feet, and even itchier trigger fingers. As they made their way over to the Imperial Security building Darren's Wookie spotted their commander stumbling back towards them wounded with two stormtroopers following quickly behind. David and Darren sprung into action firing wildly at the stormtroopers setting off every alarm in the process. This left Sean and Ali to mop up their new opponents in the base while Mike moved to support the two gunslingers. The stormtroopers didn't pose too much of a problem to our have a go heroes, with the wookie chasing one into the base before smashing him into the floor, and they quickly moved away to hide in a seedy spice den where they could keep their commander safe.